Homebrewing in Utah isn't just a pastime anymore; it has turned into a booming industry that underground beer lovers are enjoying the hell out of. I mean, honestly, kids: Where the hell else am I going to find a guy who makes a pumpkin ale infused with onions? Or a red wine with specialized natural coloring that makes it blue? But that's just in my personal stash, and doesn't even compare to the experimentation happening all throughout the city. Gavin: Hey guys, first thing, tell us a little bit about yourselves. Cody: I grew up in Utah and enjoy all the finer things about it: the mountains, the desert, the snow, and the beer. Like everyone else here, I really enjoy being outdoors and try to spend as much time having a good time as possible. Ross: I also grew up in Utah. I'm just an average guy; I have been happily married for 13 years, have two great kids, a dog, two cars and a mortgage. I've been lucky enough, however, to turn my passions of graphic design, photography and beer into one full-time job. Gavin: How did the two of you first get into home brewing and the culture behind it? Cody: I started home brewing around 2005-06, I think, after a close friend of mine started up and was turning out some pretty great beers. I grew up in a beer family, I guess you could say, and learning about all of the differences between styles and how they are made was really interesting for me. It probably wasn't until about 2009 that I really started getting deeper into the hobby, though. Ross: This one is easy: Cody invited me over around 2009 to see what home brewing was all about, and this was about the same time I was looking for some avenue to start working with/around/in the beer industry. I had just started going to beer festivals, and realized that working in the beer industry was a direction I was interested in professionally. Gavin: What were some of your first brews like, and how was it for you each learning how to do it? Cody: I don't even remember what my first beer was. Probably some sort of amber ale I bought online. I made an incredible mess making it—like a warhead went off in the kitchen. Like everyone else that starts, I was fully convinced my beer would turn out tasting like feet. It turned out pretty good in the end, and because of that I just wanted to make more beer. A couple years into the hobby, I started doing a full boil and paying more attention to how much yeast I was pitching, and it was at that point my beer started going from pretty good to great, in my opinion. Ross: My first homebrew was a British brown ale that I got as a gift. While I had seen it done once or twice, I was still skeptical that people could make beer—you know, like you get in the store—at home. It took a real understanding of the process to fully understand that there really is little to no difference in the process, and the end product can be every bit as good as the beer made professionally. Gavin: What was it like for both of you to watch the laws change so that home brewing became legal? Cody: I don't know that it mattered much to me, as my rebellious nature allows me to jaywalk and exceed posted speed limits with nearly zero remorse, so I wasn't losing a ton of sleep because of my brewing. When HB51 came around in 2009, it made the hobby expressly legal, and provided a ton of free advertising which I think really helped bring home-brewing into the spotlight here in Utah. 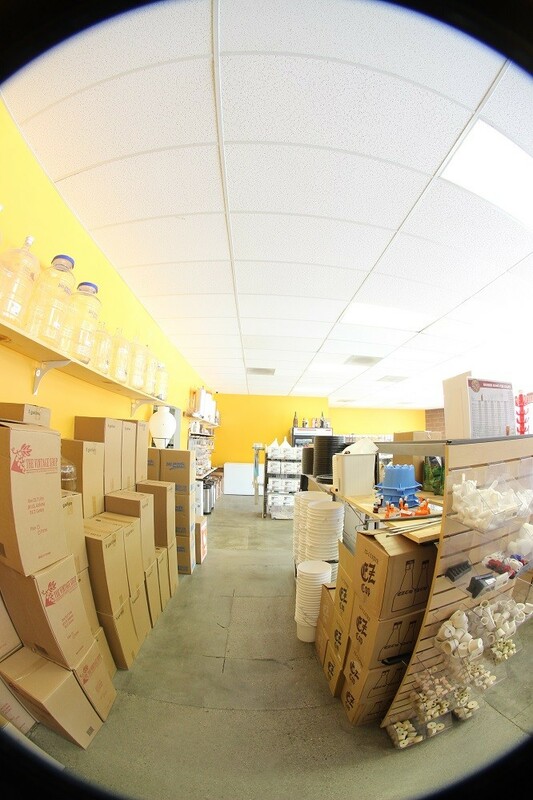 It was right around that time that we really started looking into what it would take to open our own shop. Ross: I think by the time I got really interested in the hobby the bill passed, so it was kind of a non-issue for me, but much like Cody, I guess I have a certain indifference towards laws that try and legislate “morality” and are nearly impossible to enforce. Gavin: When did the two of you first meet each other and become friends? Cody: We grew up on the same street, so we've known each other since we were just a couple years old. Luckily that street was the dividing line between school districts, so even though we were only six houses apart, we never went to the same schools, and Ross was able to have a break from me during the week. We've always been a little yin and yang, which works out great as business partners. We can each focus on the areas that we are good at, and the end result turns out better than it could if it were just either of us working on it alone. Ross: I would just add that ever since I could remember, we have talked about starting a business, either individually, or as partners. Gavin: When did the idea come about to start up Salt City Brew Supply? Ross: We started a website called TributeToBeer.com in the mid-2000's, and the intent was both to share information about different beer styles as well as petition the DABC to put beer coolers in the liquor stores. 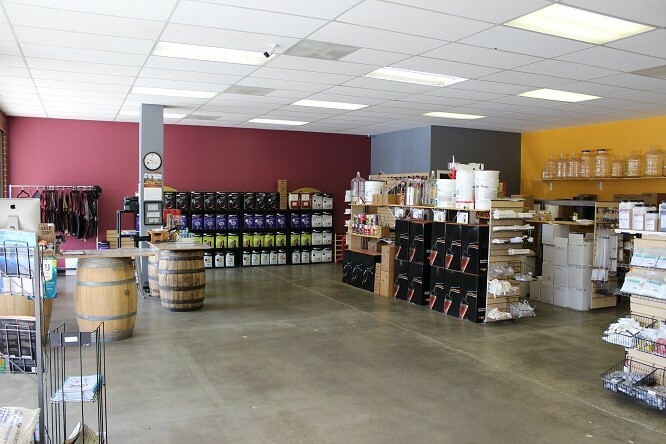 We looked into selling some basic home-brewing equipment on the site to cover the hosting costs, but because we didn't have a brick-and-mortar location, we were turned down by everyone. But, the idea was planted in our heads and we started looking into what it would take to open a brick-and-mortar storefront. Gavin: How did the first few years go, and what was the response like from the brewing community? Cody: The first two years were really just spent banging our heads against the wall trying to find someone to lend us money. After about two years, we found an honest banker who finally explained that they couldn't lend us money because we didn't have any of our own. So, we sold another website that we owned and used that money to show the bank we had money so that the bank would lend us the money we needed to open the shop. Makes perfect sense, right? Once we opened in May of 2011, it was pretty slow going for the first six months or so. I had to quit a pretty good job to work in the shop full-time, and we only had so much money to cover my living expenses and the operating expenses. Times got pretty tight, but we were able to make it through and eventually out of the red. The brewing community has been phenomenal. Ross: Everyone, including the other brew shops in the area, were all excited for us to be there and to provide a different feel and some different options. Between the home-brewers, brew shops and breweries, it's a pretty tight community, and for the most part everyone wants to see everyone else do well. A rising tide raises all ships, and that's great when the tide is made of beer. Gavin: You currently have a facility three times the size of the one you started with. How has it been working in the current location? Cody: When you say it like that, our new shop sounds huge! It's really more of a testament that we were able to survive in such a small space as long as we did. On busy weekends it would be like a clown car in the old shop and I remember customers coming by and seeing how busy it was, and leaving because of it. We definitely don't have that problem now and if people come in and we're busy; there is plenty of room to wander around and browse for a few minutes without being on top of everyone. Gavin: What made you guys decide to open a new location in Ogden? Cody: Ogden has had a great home-brewing community for a lot of years, including a couple really active clubs: The O-Town Hop Heads and the Hill Hoparazzi. A couple shops have made a go of it up there, but with a smaller population base it's just difficult to make it in such a niche market. 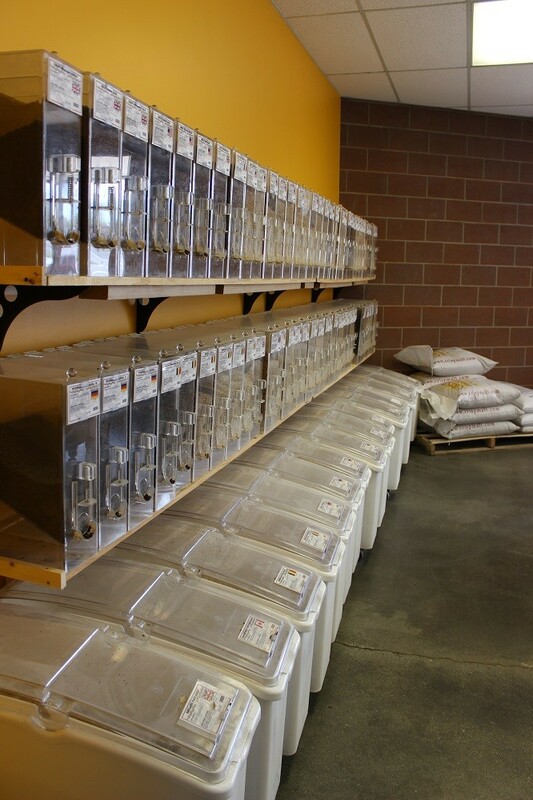 You need a lot of grain on hand to meet the demand of modern home-brewers, and grain is heavy and freight is expensive. We felt that since we already were bringing the heavy freight into the Salt Lake store, we just need to bring in a little bit more and the shipping costs would be shared between the two. Everyone we've talked to in that area has been really excited to have us come up there, and I think they'll be happy with the supply and options we have. Gavin: What was it like looking for a place, and how did you come across the location on Grant Avenue? Cody: It was a little different than the last couple spaces we've moved into. There isn't nearly the supply of available commercial properties in Ogden compared to Salt Lake, and even less in the area we wanted and in the size we needed. We looked at a few different options, and the space in the Ogden City Plaza ended up being the best fit for us. It's always a longer than expected negotiation period, as you don't want to get caught in a bad lease that causes your business to fail, and there were some address and utility issues that had to be sorted out, but in the end everything worked out and I think the space and location will work great. 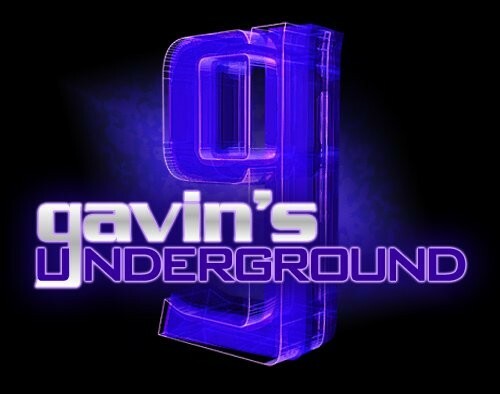 Gavin: What did you do for this place that you brought over from the SLC shop, and what new additions or changes did you make specific to the Ogden one? Cody: We've learned a few things over the years that we applied. We know we needed enough space that people can comfortably walk around and to conduct classes in. We also wanted to have the grain mill room separated so the rest of the shop isn't constantly covered in a blanket of grain dust. In beer- and wine-making, cleanliness and sanitation are extremely important, so having a dirty, dusty shop doesn't send the right message. It was nearly a full time job keeping up with cleaning when we had the mill in the middle of our first shop. As for specific things for Ogden, that's going to be the key. 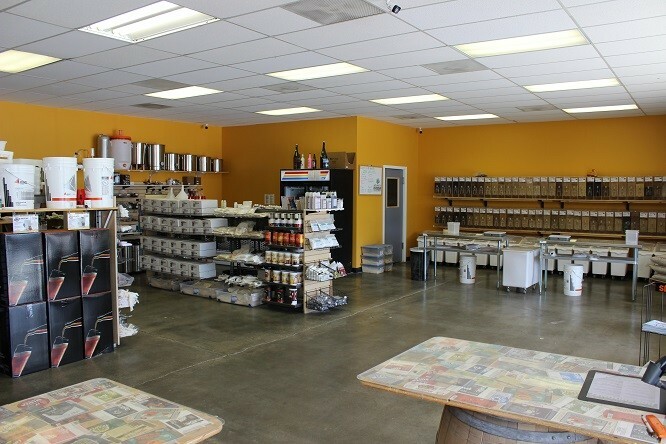 A homebrew shop should be a reflection of the brewing community around it, so it needs to carry the products that the community wants. In the first few months, we plan on talking to as many customers as possible to make sure we tailor our inventory to what the community wants. Gavin: How do you go about deciding what you'll have for sale, both in equipment and supplies? 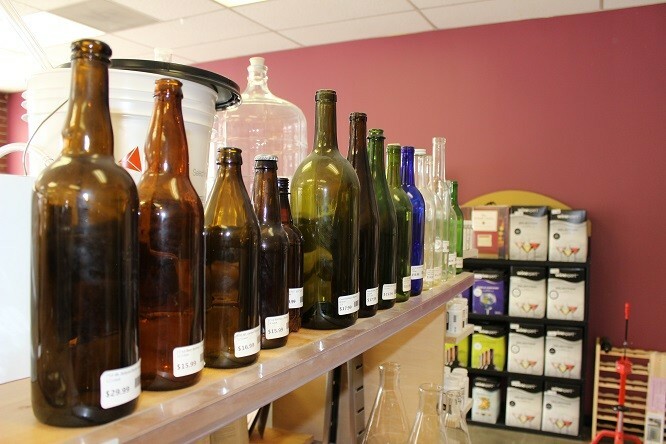 Cody: There are certain things that a home-brew shop has to have and can never run out of, and for those we have a simple formula to ensure we keep enough on hand to weather any sort of supply shortages our suppliers might unexpectedly have. 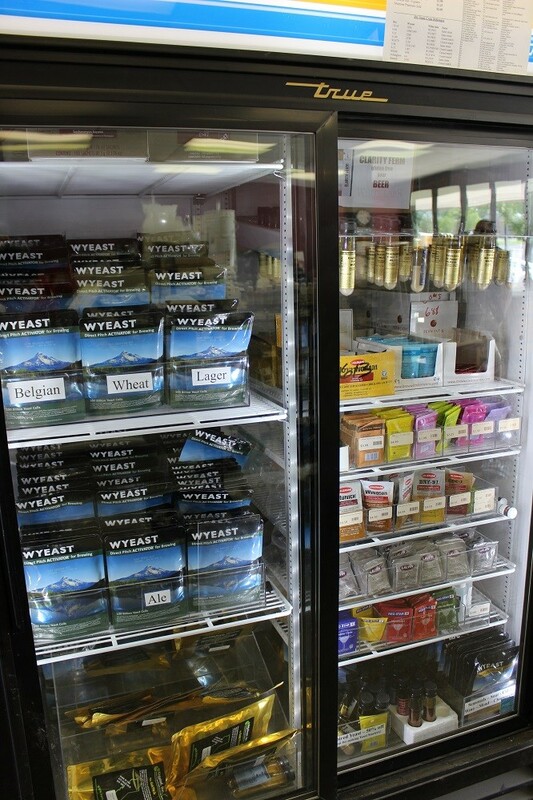 On top of those necessities, we really plan on carrying most everything that the Salt Lake store carries, just in smaller amounts. There are a few items that don't move very quickly, and those we'll probably just make special order in Ogden which will take a day or two to bring up. Gavin: What's the response been like so far from Ogden city officials and the community at large? Ross: Honestly, it's been surprising. The city has been great to work with, and really wanted us to make it up there. They've really gone out of their way on a couple occasions to make it easier and limit the number of pointless hoops to jump through. 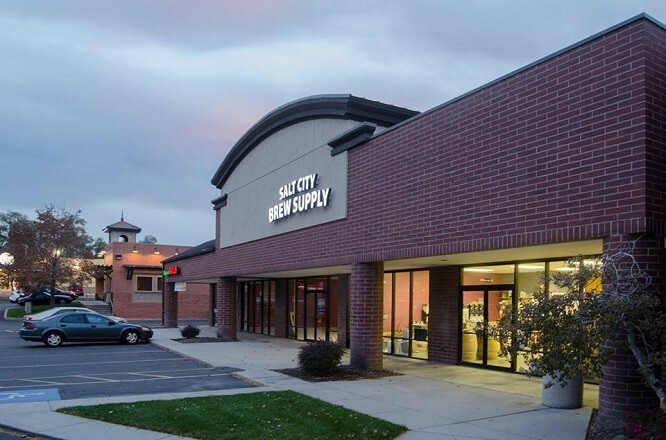 The brewing community universally has been excited to have us, and we hope that we can help grow that community with classes and by having a presence in as many Ogden events as we can. Gavin: What goals do you have set for the future now that you're open? Cody: I hope that it supports the existing brewing community up there and helps it grow by providing consistent supply and competitive pricing. It would be really nice if it could grow pretty quickly and pay its own bills, but we'll just see how it goes. If everything goes well, we hope to open a tap room next door in the next year or so, but that's a lot of work and we need to get the two shop model to run smoothly before we can focus on any other big projects. Ross: The home-brew shop/taproom is a model we have seen in other states, and think it would work well in the Ogden location, so that is certainly a direction we would like to take things, but only time will tell. Gavin: With the growth we've seen in brewing, both professionally and from home, where do you see our community headed over the next few years? Cody: It's really an exciting time to be a part of the brewing community. The explosion in craft brewing really drives the homebrewing market as people become more familiar and more interested in different beer styles and want to recreate them at home. Old styles are being recreated, and the number of options available commercially is almost overwhelming these days. As more people choose craft beer, and more people make beer at home, everyone is learning to appreciate the nuances of a well made beer, and as a result the quality of beer being produced both commercially and at home will just continue to improve. New hops, new strains of yeast, and new techniques are coming out just about every month, so it's a fun time to be a brewer (and drinker). Ross: It has become increasingly trendy to drink craft beer that pushes the limits of flavor combinations and intensity, and we all know that trends fade, but the increased popularity has brought back the diversity and availability of beer to the masses, and I think that is back to stay and will only get better. Gone are the days of seeing an entire beer aisle at the grocery store full of only American Pilsners, and this is good for all brewers, whether you brew 1 gallon at a time or 1000. Gavin: What can we expect from both of you and the shops over the rest of the year? Cody: Hopefully a nap? Really, we've been working pretty hard for the last 18 months with the move into the bigger shop in Midvale and opening the shop in Ogden. I'd like to get things to a place where both shops operate smoothly so that I can spend more time finding new products and ideas to bring back to them and help the community continue to grow in Utah. Oh, and I'd like to have more time to brew beer. I've had a few recipe ideas floating around in my brain for a while and it's about time to turn them into beer. Ross: While Cody focuses on the smooth and integrated operations of the physical stores, I will be focusing on the nerdy stuff. A rough draft has been laid out for a much improved customer experience on our online store, and getting that live for our friends in the far-flung towns of Utah who want to shop as local as possible will be my focus. Also, adding additional ways to pay, both online and in the stores will also be something down the road... and sleep, sleep would be nice too.